15% were due to ships grounding. Of the above major incidents, 16% occurred when the ship was under pilotage. This is a significant figure and the inference could be that either the pilots are not well trained or the master and the bridge teams are not properly monitoring what is happening when under pilotage, or a combination of both. Only occasionally is the cause of a navigational incident a mechanical failure. 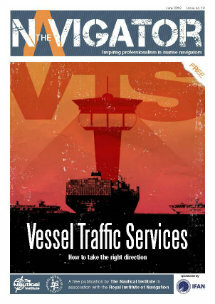 This issue of Standard Safety is focused solely on navigation. Claims relating to poor navigation are the largest single cause of claims in terms of cost, and the club’s experience in recent years provides ample evidence of this. A number of factors are investigated using case studies to illustrate the problems and consider what can be done to curb the increasing frequency of navigational incidents. Flag States and are in the public domain. These, we believe, should form part of a company’s loss prevention programme since it is far better to learn from the mistakes of others than experience them yourself. The biggest risk that a shipowner faces is a major navigational incident: not only can it result in fatalities and pollution but can have a substantial impact on the reputations of those concerned. For more information, regarding Standard’s Safety special edition on Navigation please click here.